No one stands in a parking lot and feels safe. The parking lot—specifically for the pedestrian—is an area for immense distress. So much movement, so much anger, so many uncivil suburbanites vying for a place to stop. The misplaced vehicle is commonly blamed or the lack of a free space, but at the heart of it all, I think the open plane that is the parking lot is unavoidably unnerving in itself. The flat, rectangularity exists as a sort of negative architecture. It is a space for idleness, wherein so much aggression circulates and yet all stay generally impotent. It is contained openness, like some sense of ourselves as private individuals. We here in California have the distinction of being host to the first parking lot. Thanks to Andrew Pansini in 1917, an abandoned corner in L.A. soon turned into a place to put cars, a place to pay, in this instance, so that your car could do nothing. This lucrative anti-creation soon blossomed into an industry that tore down buildings rather than built them. One begins to wonder where everyone is going with so many parking lots and so few buildings. I hesitate to refer to parking garages as buildings, as architecture, when they are more or less stacked, empty planes, with little lines drawn all over them and a desolate set or two of stairs. The parking garage, no different from the simple, flat parking lot, is a place to leave immediately. As such, it has people rushing angrily (and yet while being relieved) into various shopping centers. The ritual of parking exemplifies the ritual assertion of the individual. Private, bourgeois individuality, born of a belief in personal choice/freedom and a profound sense of isolation from the social whole, manifests itself in the yellow or white paint-delimited, rectangle, open at one end but definitely not communicating with the adjacent slots. With strange, haughty self-assurance we slip our vehicles into the space that is then “ours.” Into our bodies we slip our consciousness, which struggles to keep our arms and ears and legs solid around this sense of an “I.” God forbid we see ourselves as functioning within a social/material whole. Heaven stop us from seeing the other shoppers buying in the same way as us, existing amidst a series of exchanges of value to which and for which we have given part of ourselves, our labor, our time. No. We are free to work individually, to think individually, and to park individually. In the parking lot we insert our consciousness into the same spot as everyone else and then call it unique, call it our own, and in this spot we sit, and gleefully do not move. Our car, as an extension of ourselves occupies space. The occupy movement should have been camping in parking lots, not parks. In Oakland this fall, after being kicked out, again, from Frank Ogawa Plaza, the occupiers moved to an abandoned lot, tore down the fence and sent up tents, suspiciously looking like a parking lot. It is hard to resist the pull of the isolating ego amidst so much capitalism. 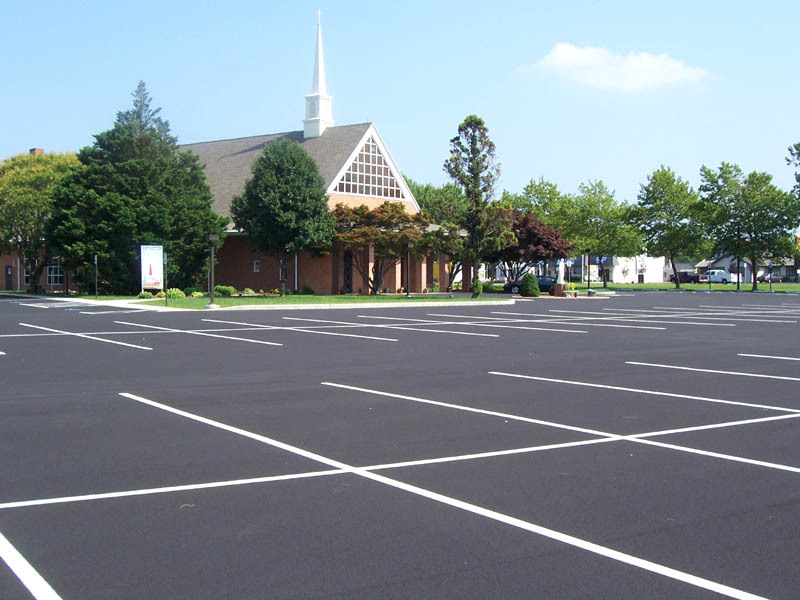 For anyone who chooses to forgo the use of a car, specifically in suburbia, the parking lot remains a zone of horrible danger and spiritual distress. The openness of it exists simultaneously with an overwhelmingly closed nature. Not only do the cars and angry drivers present a very real threat to the safety of the walker, but I, at least, have always found a parking lot to be a very distressing place morally. Streets exist with/as a certain vocabulary and by walking one may speak with and to them, but parking lots seem to me a great, closed emptiness, a distressing silence that insinuates walls without committing to the responsibilities of true borders. True borders, in closing out, must communicate with and thusly define an outside and an inside; but the parking lot refuses these distinctions while maintaining them to a puritanical degree. It is silence in the midst of so much possible communication; it is a geometrical order that is forced and hostile onto a situation that could be defined by openness and free play. It is necessary that we abandon our cars and see parking lots as empty spaces in which to create parks and build civic institutions. A great piece of writing content. I will also share it with others. You can also pre-book airport parking stansted and all other major UK Airports. Thank you for this info. Another best source for parking is Luton park and ride and many other platforms. Nice sharing. Very informative and comprehensive post. Also check out meet and greet at Stansted and many other UK Airports.